If you have ever looked at your child’s exam certificates and wondered what SCQF Level and SCQF Credit Points mean, there is a guide on the SQA (Scottish Qualifications Agency) website. The SCQF makes it much easier for employers and learning & training providers across the UK and overseas to understand what has already been achieved by a student. The level of the qualification shows how demanding it is. There are 12 levels in the Framework running from level 1 up to level 12, the most demanding. A National 3 award is level 3, a National 5 is level 5 and so on, up to level 12 which is a Doctorate (PhD or similar). 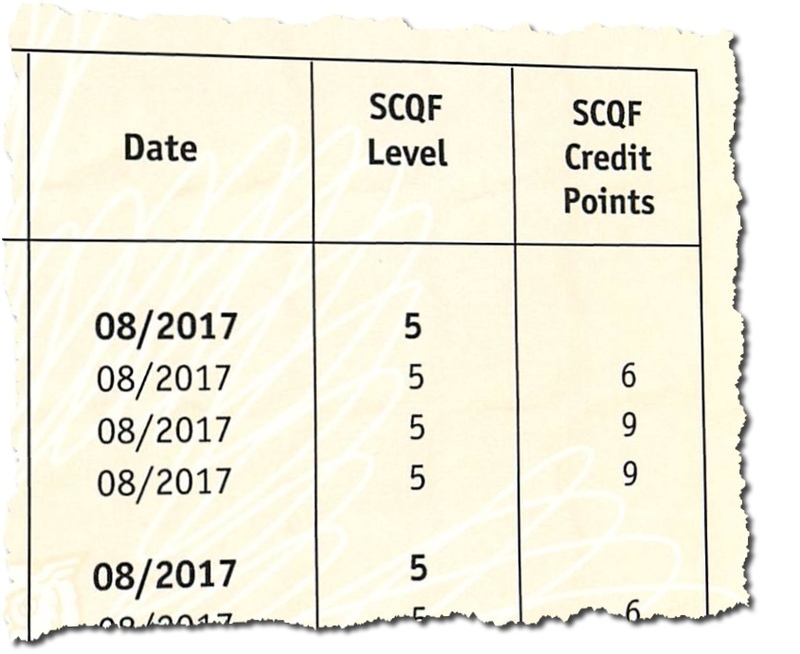 The number of SCQF credit points shows how much learning has to be done to achieve the qualification. One SCQF credit point represents about 10 hours of learning. The SCQF website has a database that provides a way to look for courses in specific subjects and easily see what credits are required and the level of those courses.